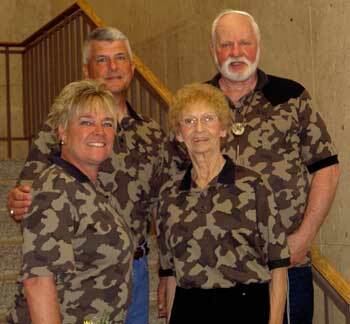 We appreciate all our customers who have purchased our knit camouflage clothes and knit camo accessories. Everyone enjoys seeing the success of our silent, knit camo clothes with the famous Winona Camo design in the hunting photos. 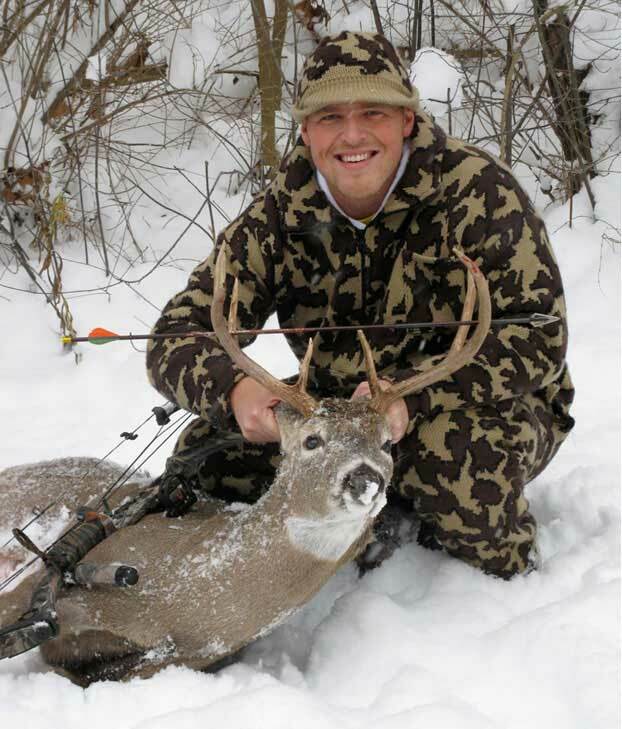 We invite all of you to share your photos of your hunts wearing our Winona knit Camouflage (the Winona knit from 70's plus) or any of The Knit Tree's camouflage products, yes we have baby camo too! 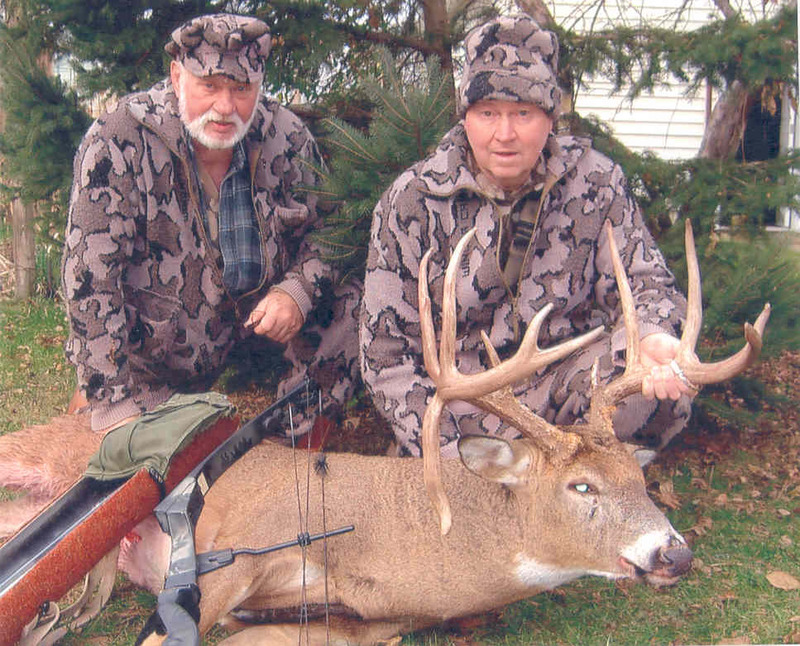 We are honored that the 'Camo Man' himself ~ Bob Fratzke ~ Master Bowhunter ~ has started our" Winona Camouflage and Hunting Photo Gallery" out with several of his photos. Enjoy the experiences, then enter our Online Catalog to see the large range of knit camo jackets and knit camouflage sweaters, knit camouflage pants, knit camo caps and knit camouflage accessories that The Knit Tree has to offer for sale ~ all with the famous Winona Camo design. All items are custom knit in your color choice and size (yes, you can create your own 3 color camo color way to meet your needs) ~ making this a real personal Knit Camouflage Experience! 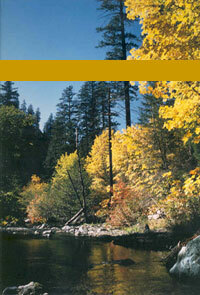 Alot of viewers call or write in to ask "Whatever happened to Bob Fratzke?" 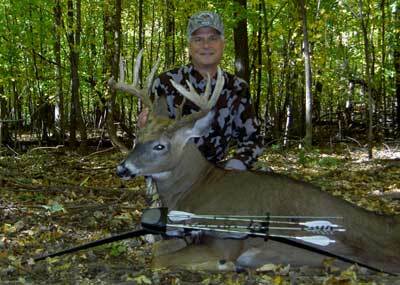 Well, look below to see the five latest photos that Bob Fratzke so kindly sent us of results of their 2011 hunting season in Mn and Wi. You can see that those big deer are still out there and Bob is still wearing his famous Knit Winona Camouflage hunting clothes. Len Angelwitz hunting with Bob Fratzke in Wisonsin Nov 4th, 2011. 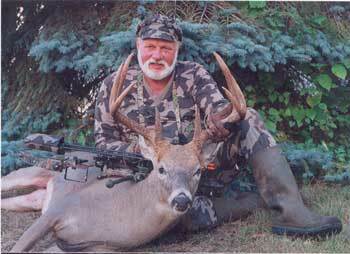 Len's deer has a 19.25 inside spread, 11 points. Both are wearing the knit camo Winona jacket cardi and knit camo pants. 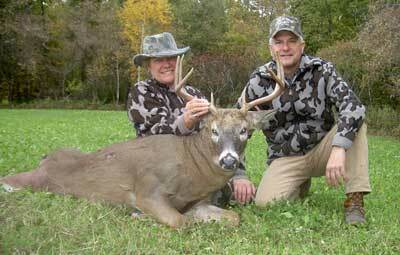 Bob has his knit camo ridge runner cap, while Len sports the Winona knit camo survivor hat. 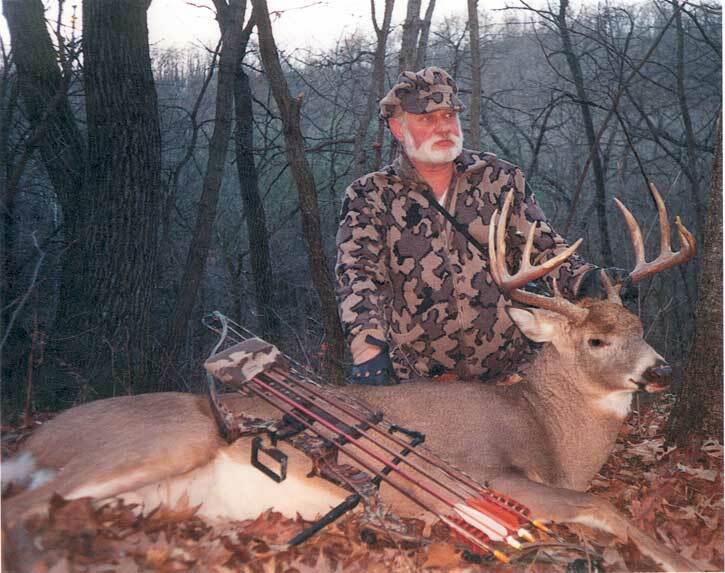 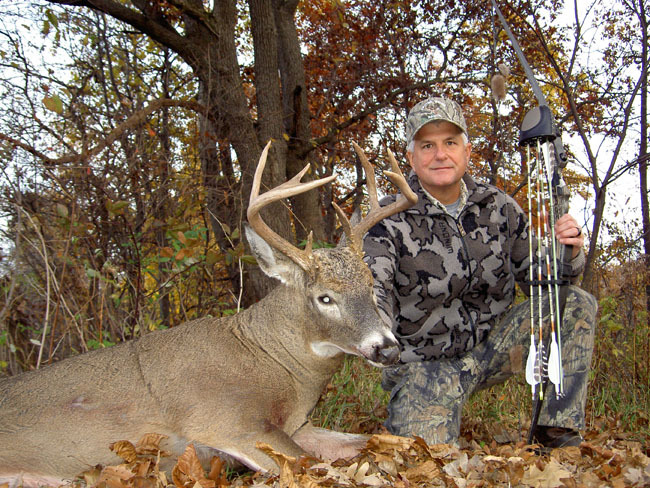 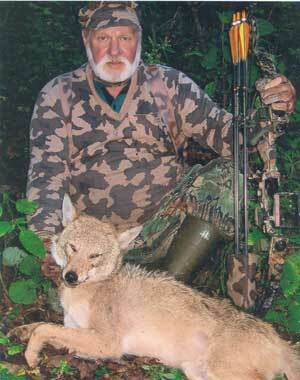 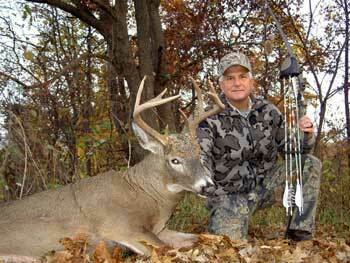 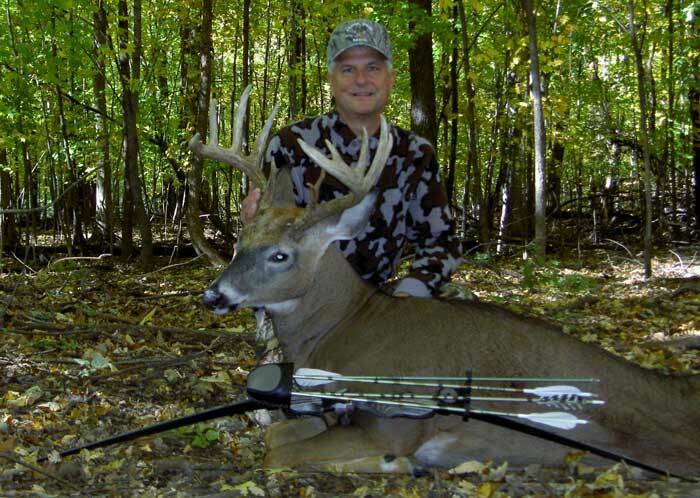 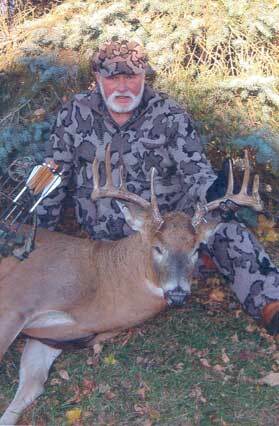 Bob Fratzke bow hunting in Mn on Oct 31, 2011. 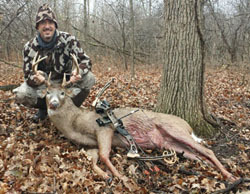 Knit Winona camo cardi jacket, camo pants and matching knit camo ridge runner hat helps with his successful hunts. 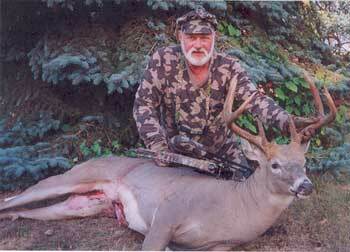 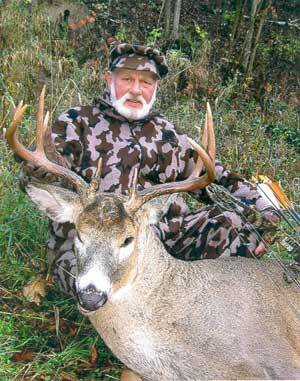 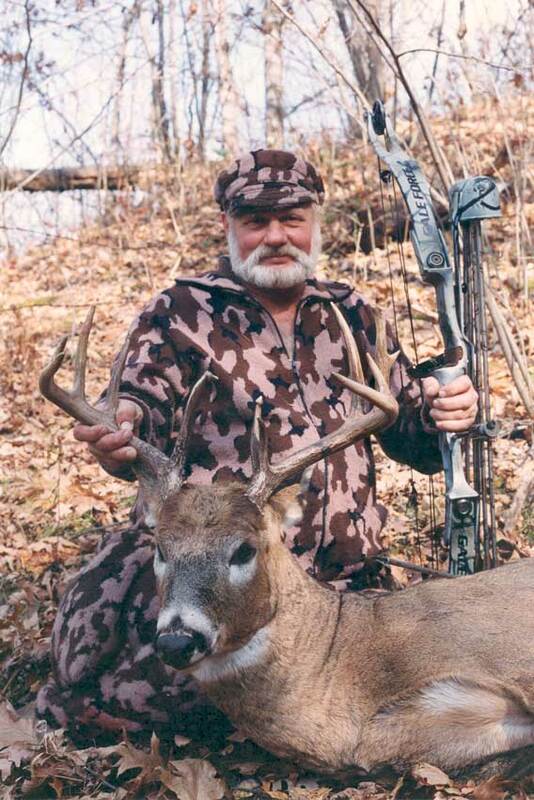 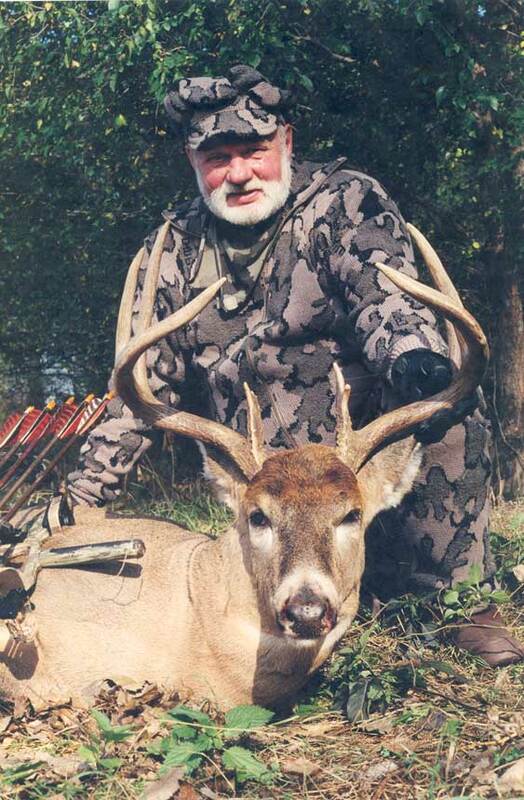 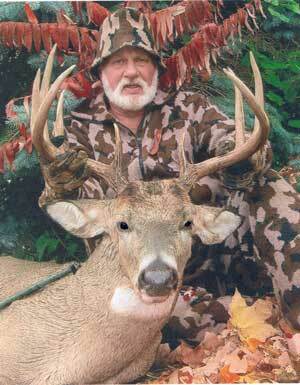 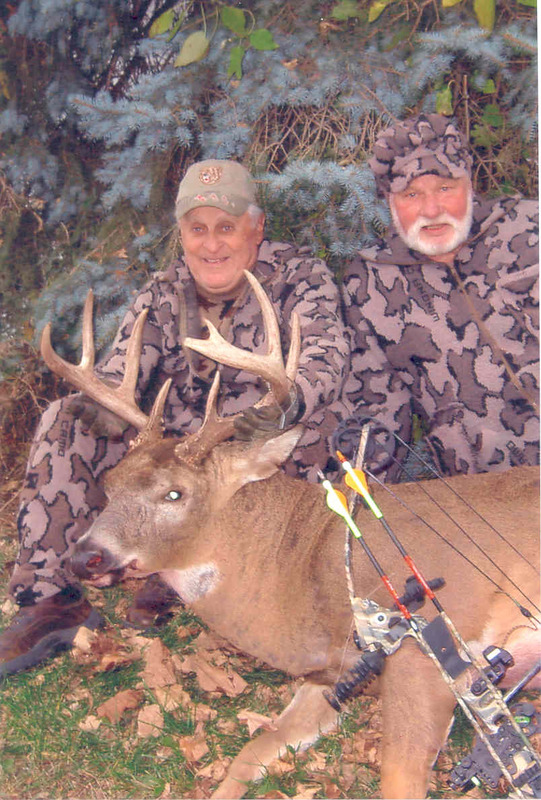 Sherwood Schoch is happy with his deer he shot with his bow while hunting with Bob Fratzke in Wi on Nov 1 2011. 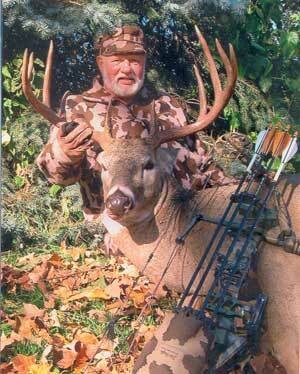 His deer has a 17" inside spread with 9 points. 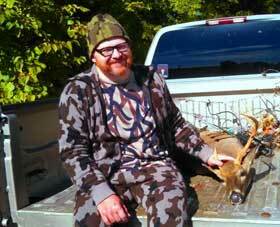 Sherwood also bow hunts in his knit Winona Camo cardi jacket and knit camouflage knit pants . 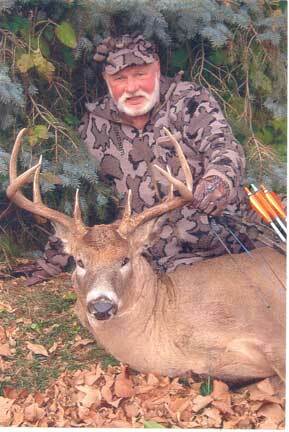 Sherwood lives in Pennsylvani. 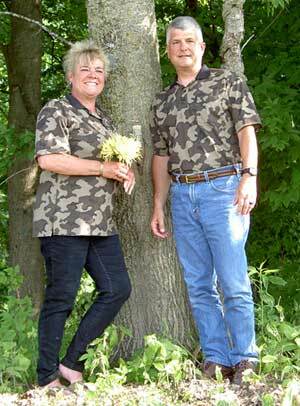 Bob and Betty Fratzke stand up for Scott and Lori Smolen at their wedding, all dressed in Fratzke Camo Wear Scott Smolen is still hunting those big bucks in his Winona Camo in 20l1 Matt Howe says "On the last day of hunting season during the last minutes of daylight look what walked near! 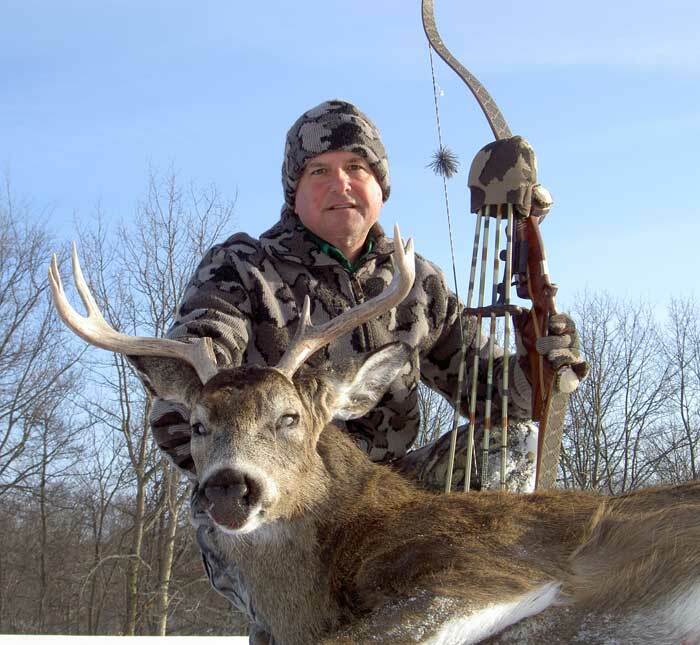 Our camo was completely silent in below freezing temps and kept me toasty, allowing me to send an arrow through this 8 point. " 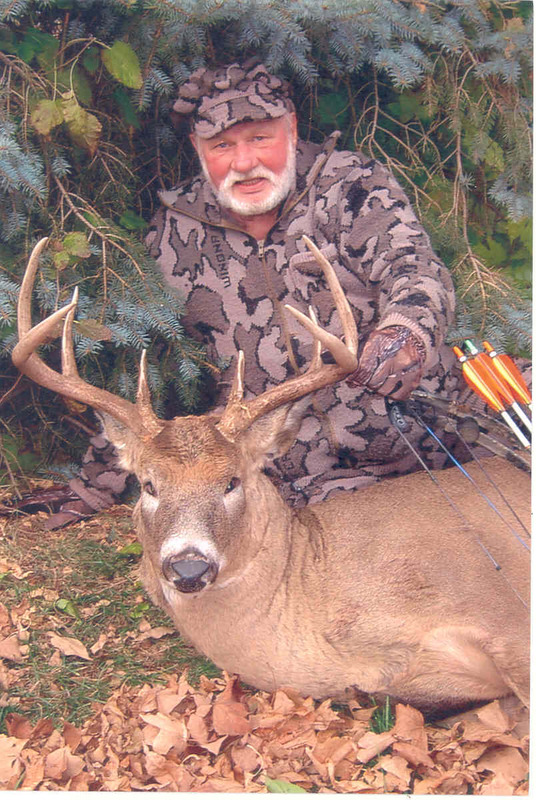 Bill Hansen wearing his Elite Winona Camo Jacket with his Floppy hat on a successful hunt day after Thanksgiving 2015. Bill says "Your knit camo is the most comfortable in the industry hands down. 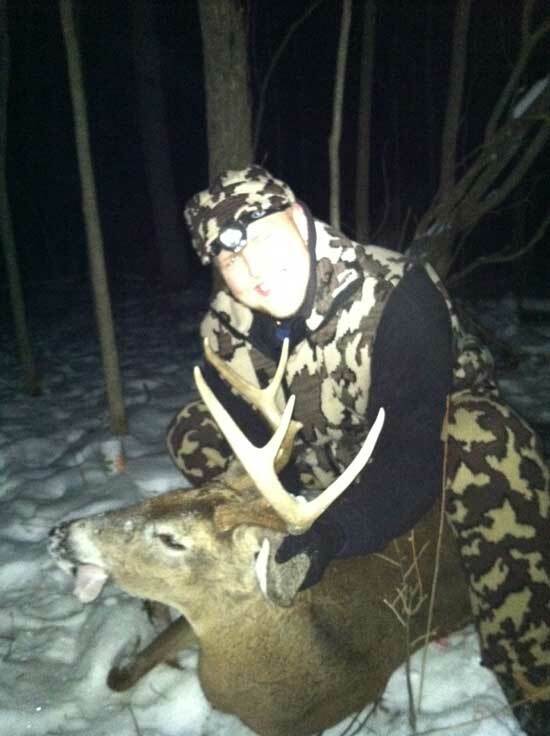 The floppy hat is my all time favorite hunting hat.2015." Jason Wilborn wearing original brown winona camo made by Bob Fratzke on a successful hunt. 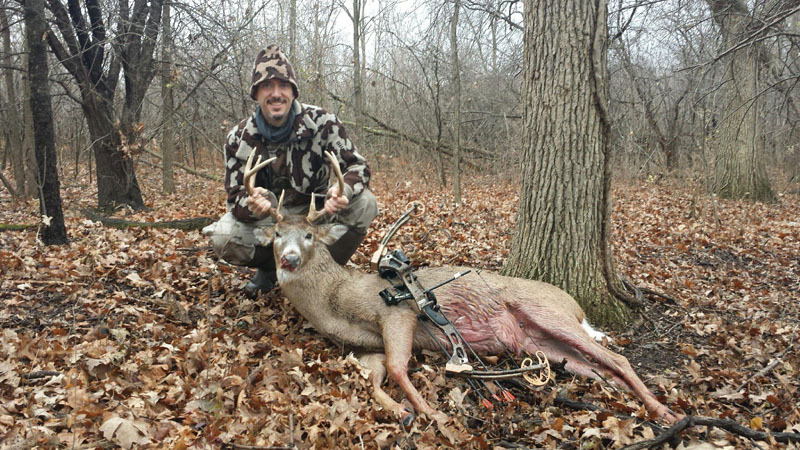 The deer was harvest with a bow on 10/08/2014 in Tennessee.